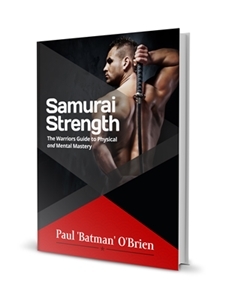 Super Samurai, those fighting men and women that achieved extraordinary fame are the subject of this article. 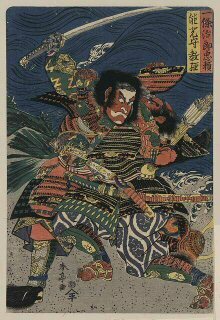 While often romanticized not every feudal Japanese warrior was a one man unstoppable, honour bound army. In fact as with nearly every military history such heroes were the exception, rather than the rule. Exceptions because they demonstrated unusual levels of intelligence or cunning, of faith or valour, of bravery or madness. 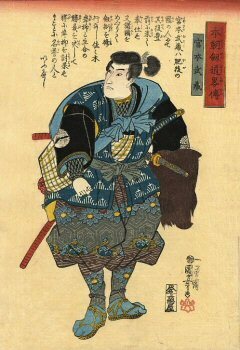 Miyamoto Musashi (宮本 武蔵) is perhaps the most famous of the 'super Samurai', except for most of his life Musashi wasn't a samurai but a Rōnin (浪人) - a master-less samurai, unemployed by a Daimyo (大名 daimyō) (Lord) and thus he wandered the country side buffed about fortune as are the waves of the sea...(rōnin literally means wave man). 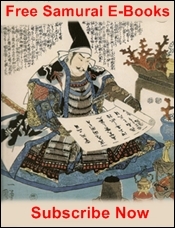 Musashi's fame stems from his publication of fighting philosophy, the Go Rin No Sho (五輪書) or Book of 5 Rings in which he examines the nature of combat and the mentality of victory. And he was an authority on the subject having survived and left of the victor of over 60 death matches from which he developed the reputation on Kenshi (Sword Saint). Unparalleled in the ways of combat tales of Musashi's life and exploits have become legend. 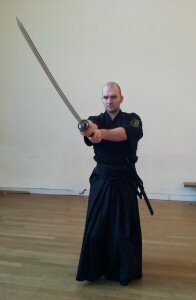 hundreds of movies, TV shows, books, comics and even game appearances perpetuate the myth of this unbeatable swordsman. He is famous for the Niten Ichi-ryū (二天一流) school of swordsmanship that he developed (though he did not rely on just one style) that utilises 2 swords at once. However in Japan this folk hero is also well known for his art. Hattori Hanzō (服部 半蔵) is no stranger to Western audiences thanks to Quentin Tarintino's Kill Bill Series. In the film Hattori Hanzo (played by Sonny Chiba - a man who has played Hattori Hanzō for over 30 years, and who ALSO forges Samurai Swords in real life) is a renowned katana maker. He has taken a blood oath to never create an instrument of death again, after his last student, Bill became an evil assassin. 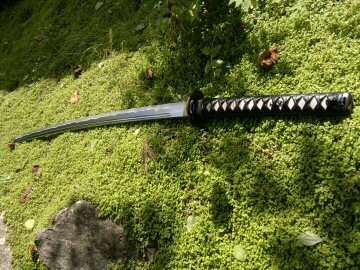 The Bride (Uma) visits him in the 2nd movie and convinces Hanzo to forge a new sword, his finest creation, so that the Bride can Kill Bill and rectify the mistake Hanzo made early on. 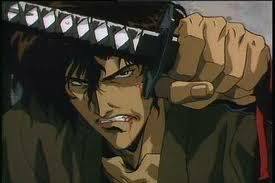 But...here's the thing...Hattori Hanzō - REAL GUY. 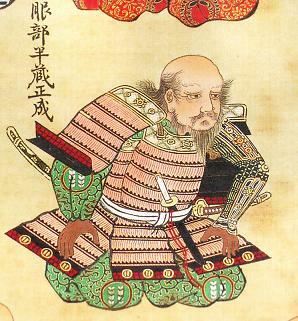 Hanzō lived in the tumultuous years of the Sengoku era between 1542 and 1596. He was a noted and famous samurai (and alleged "ninja master") in his time and famously saved the life of Tokugawa Ieyasu (徳川 家康), the man who would unify and bring peace to Japan in 1601. He was a feared fighter known for his expert tactical analysis and skill with the spear. In Japan he is a constant topic of TV and Movies and holds a similar position of legend to that of Robin Hood or the Lone Ranger. it's no co-incidence that the noted Japanese actor Sonny Chiba plays Hanzō in the Kill Bill series, as Chiba was also the star of the long running and incredibly popular TV series Hattori Hanzô: Kage no Gundan(Shadow Warrior). Today Hanzō is featured in hundreds of books, anime series and manga. And you can read my review of his Kill Bill Swords. Yagyu Jūbei's lineage alone qualifies him as a Super Samurai. He descends from Yagyū Munenori (柳生 宗矩) - one of the greatest swordsman to ever live and founder of the Edo branch of the Yagyū Shinkage-ryū (柳生新陰流) - a style of swordsmanship still taught today. A style so good that it was the style of combat endorsed and taught to the Tokugawa Shogun's - the military rulers of Japan for over 250 years. Jūbei is a prime candidate for legend and myth and status of super samurai. Though he was a real man, little is known about him...he was born around 1607 and presumed dead about 1650. In between we know he did the unthinkable and quite frankly the impossible - he left the service of the Shogun. Now normally you wouldn't be allowed do that unless you were dead, but this young man walked out of the Shogun's palace at the age of 20 and in the mists of myth. Now that's a big deal...imagine you had been made the President of the United States personal trainer and combat instructor...and then you decide to leave..to wander around the country as an unemployed kind of Jack Reacher, Robin Hood, one man army bringing your own brand of Justice to the people who need it. It's like Kung Fu, the Punisher, Reacher, Rambo and a one man A-Team all rolled into one, except he has a samurai sword. 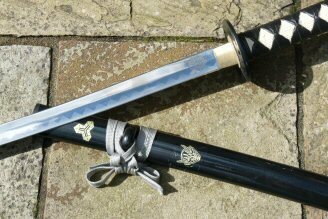 Legend has it that Jūbei had the use of only one eye; lost during a deadly practice bout with his father...many stories depict him wearing a tsuba - a sword guard from a katana over the empty socket. Historical portraits from his time however show him as having both eyes. He was recognized as one of the finest swordsmen in Japan and when he returned to the Shogun's service at the age of 36 he had mastered a number of secret techniques including the muto - a move made famous in movies - catching an opponent's blade between your hands and the 月影 Tsukikage - the moon shadow technique (a technique still taught and even part of the school I am a student of...). Today the legend of Jūbei the super samurai, lives on in popular fiction...manga Samurai Legend, the Tekken computer games series and my personal favourite as the hero of Ninja Scroll..